Pastéis de Nata, the small vanilla tart, is one of Portugal`s most famous sweet treats. The origins can be found at Pastéis de Bélem, a historic café in Lisbon, where the tradition of marvelous Portuguese pastries has been continued until today. Pastéis de Nata (or Pastéis de Belém) is meaning cream tarts in English. The small cakes were originally created by monks in Belém, Lisbon. When in the wake of the Liberal Revolution in 1820, many monasteries faced closure, the monks started selling the egg tart pastry at a nearby sugar refinery. 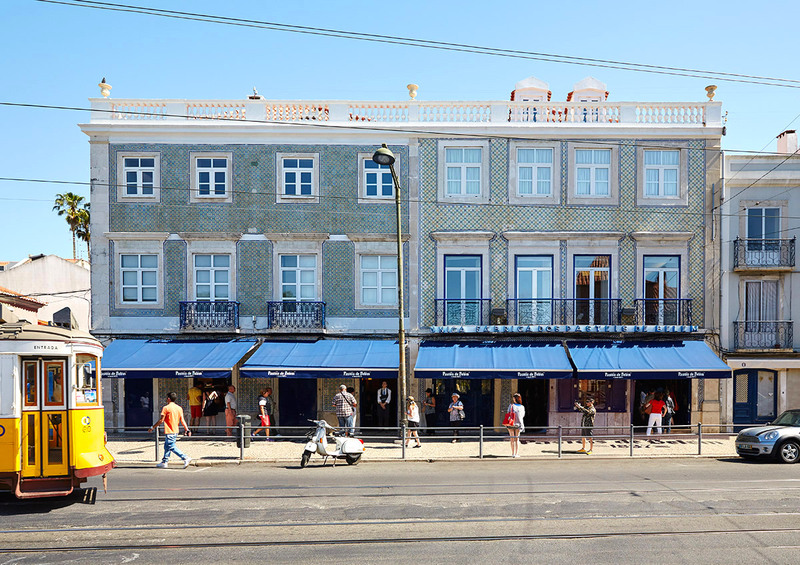 Today, Pastéis de Belém is one of Lisbon`s most famous historic bakeries. The airy café with blue and white mosaiks has been a magnet for fine Portuguese baking goods since 160 years. Cut the vanilla pod open and remove some of the vanilla. Cook the milk with the butter, vanilla and vanilla pod. Mix the sugar with the flour and a pinch of salt. Remove the vanilla pod from the milk. Add the sugar mixture and quickly bring it to boil whilst stirring. Take the mixture from the heat and let it cool (stir every once and a while). Roll up the puff pastry and leave it in the freeze until the cream is done. Preheat the oven to 240 Degrees (464 F). Now, finish the cream by mixing in the egg and egg yolk. Cut the dough into 15 pieces ( 1.5 cm each) and press each batter piece into the hollow of a muffin baking trey. Fill the tartlets with cream. Bake the pastry in the oven for about 25 minutes until the surface is golden with dark spots. 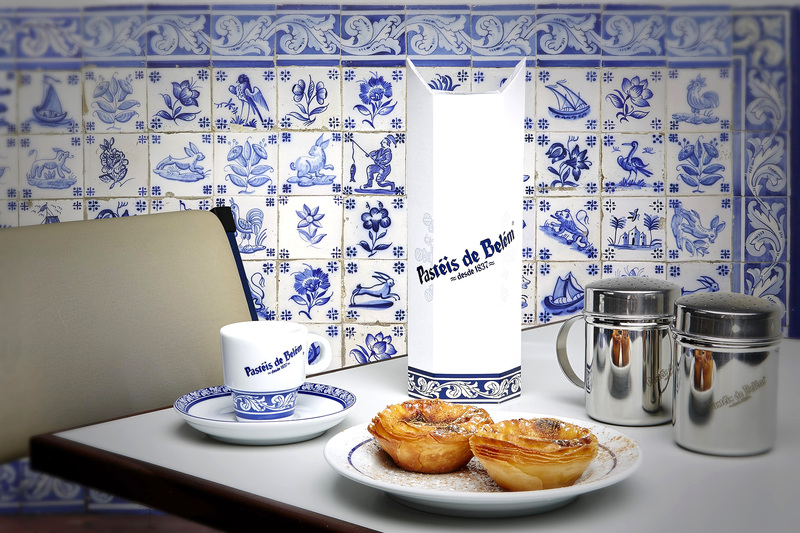 Serving Tip: Pastéis de Nata are best when they are fresh, like they are served at the Pastéis de Belém Café. In Portugal, it is common to sprinkle some icing sugar and cinnamon as a finish. 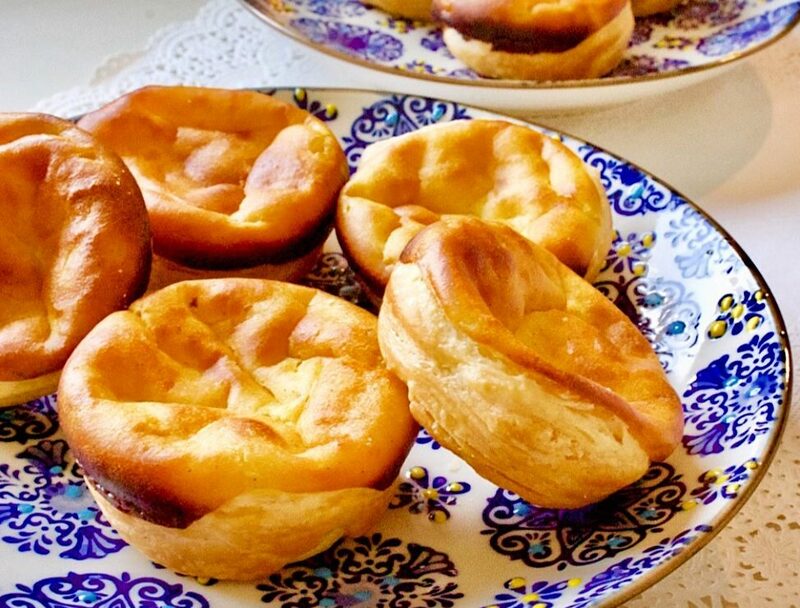 Posted in Food, Travel and tagged Bakery, Belém, Cafe, Food blog, Lisbon, Pastéis de Belém, Pastéis de Nata, Pastry, Portugal, Portuguese pastries, recipe, sweet treat, Travel Blog, Travel Tip, traveling, travels. Bookmark the permalink. I love this city too :)!